When I first met my husband years ago, one of the things I loved most was getting to know his Grandma Jolley. She wasn’t too sure about me at first but we eventually bonded over the love of cooking. She was an amazing cook and made everything from scratch. We had the chance to live close to them for one year while my husband was waiting to get into dental school. During that time I learned Grandma Jolley (Louise) was a force to be reckoned with. She said exactly what she thought and was always in charge. It’s just how she was and everyone just knew that the kitchen was her domain! Every Saturday morning everyone also knew that Grandma would have homemade wheat pancakes and waffles for breakfast. She would make these for hours on end as her children, their spouses, and grandchildren would all wander in for breakfast. Sundays were family pot roast day. 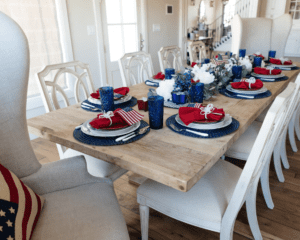 Everyone would come over for the time they could spend together, and for her incredible food! Her roast beef and mashed potatoes and gravy are still my husbands favorite. Then she’d always finish off the meal with her strawberry pie. Through her love of cooking, she created family memories and a close bond amongst her children and grandchildren. I will be a “Grandma Jolley” too someday (hopefully soon!) and I hope I can create the same memories for my children and future grandchildren. Cooking and creating a space that welcomes everyone is something that brings me great joy! Grandma was a great example to me of how to keep her family close to each other. I feel fortunate that my husband was her oldest grandchild so he was lucky enough to have spent many years with her and my children were also able to know her well before she passed away at the age of 94. 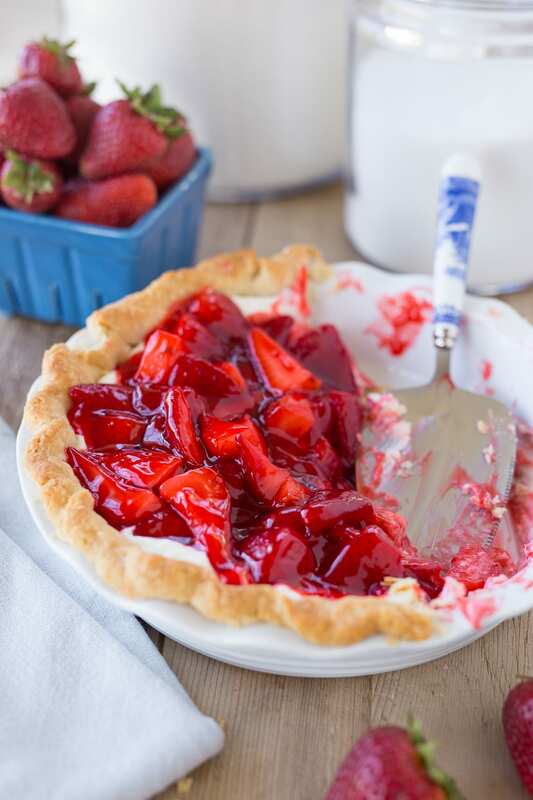 Today I’m sharing her famous strawberry pie recipe. This is one of her all time favorites that everyone loves! This is no ordinary strawberry pie, but it’s fairly simple to make. 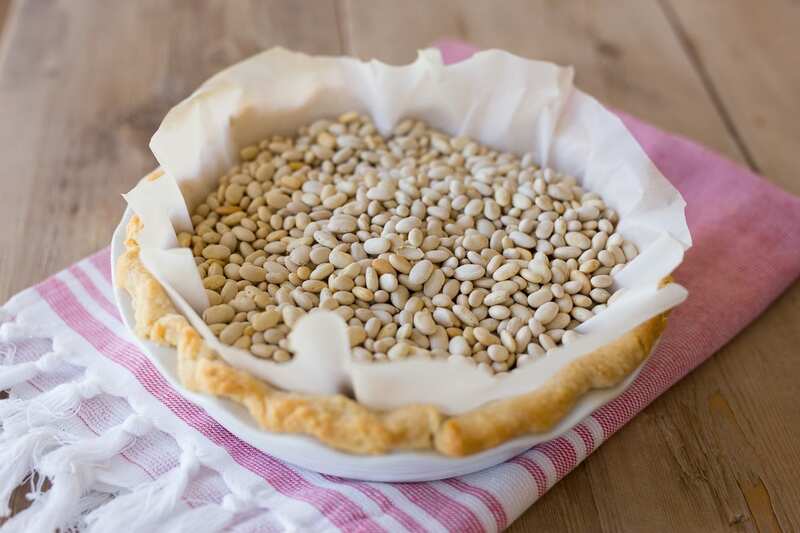 *When baking any pie crust shell, use dry beans or ceramic pie weights. Put a layer of parchment paper on top of the crust, and lay the beads on top. Put them in the pie shell before you bake and it will keep the pie crust from shrinking or sagging. *If you don’t have the ceramic pie weights, you can use dry beans. I have done it both ways. *Use a fork to poke holes in the bottom and sides of the crust before you put the dry beans or ceramic pie weights in. This keeps the pie crust from bubbling up! *Be careful not to overwork the dough. 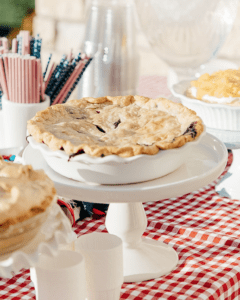 You want pie crust to be flaky! *I like to add a little more almond extract than the recipe calls for because my husband loves it that way, but if you’re a purist, stick to Grandma’s recipe! *You can freeze half of the dough if you are only making one pie. The dough can get really sticky and soft if out too long after making and if it’s warm. I find it’s easier to refrigerate the dough if I have time. The store bought crust can be helpful if you don’t have a lot of time. 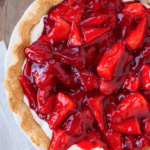 *Use the Marzetti or Marie Callendar’s strawberry fruit glaze. Don’t use danish dessert or packaged mix. These two are the best to use from our experience! *I like to use a pretty pie dish to bake my pies in. If you use the frozen pastry shell you can still put that into a pretty pie dish if you are entertaining and like it to be all pretty! This is a pie crust baked without the beads/beans. The crust will fall and be uneven on the sides. This is how you can insert in the beads/beans to keep that crust even on the edges and pretty around your pie dish. In a large mixing bowl, sift the flour and salt together. Then using a pastry blender, mix the Crisco together with the flour mixture until it becomes a little crumbly. In a separate bowl, mix the water, vinegar, and egg together. Slowly add liquid ingredients into the flour mixture using your pastry blender. Once incorporated well, use your hands to mix together and form 2 equal sized balls out of the dough for each of the pie crusts. 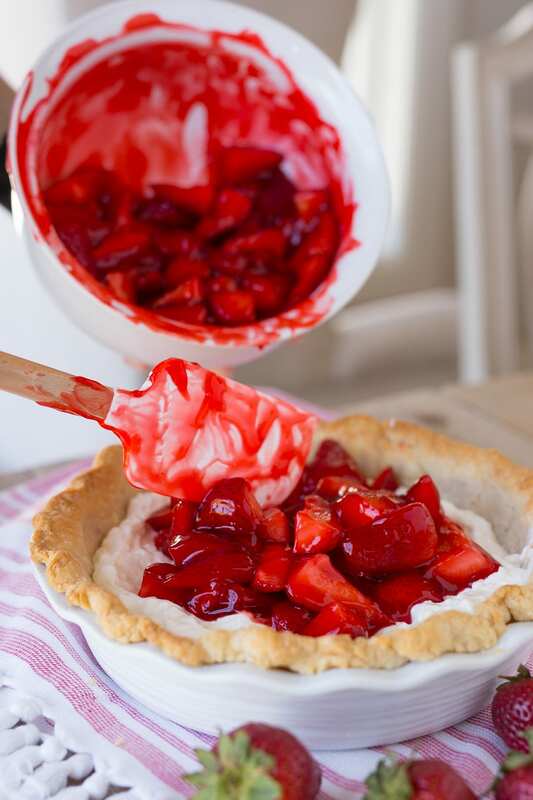 Sprinkle a little flour onto a clean, dry surface and gently roll out the pie dough a little less than ¼ of an inch. Roll the dough back up on the rolling pin. Lay it on the edge of your pie dish and unroll it right on top. 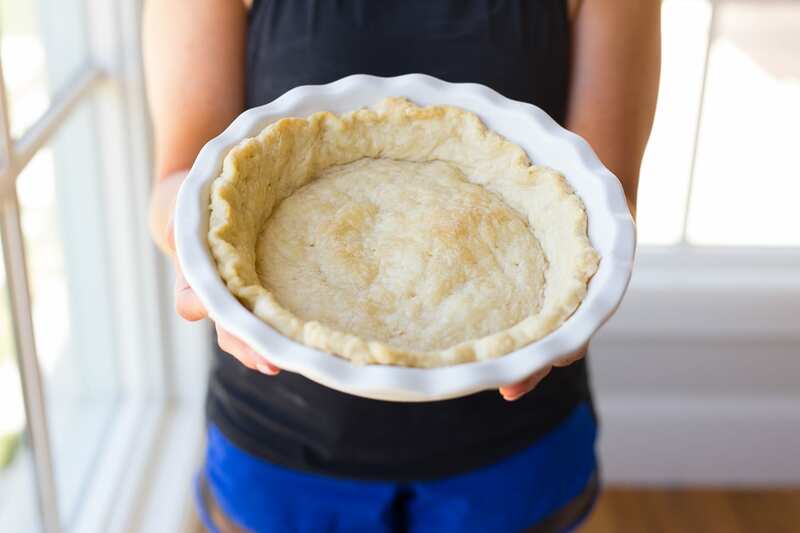 Gently push the pie dough into the pan and then trim the edges about 1 inch below the edge and then fold under and pinch together with your fingers to form a nice edge. Poke holes in the crust with a fork and bake at 400 degrees for approximately 13-16 minutes. Crust should be starting to turn to a light brown color. Take out of oven and cool on wire rack for about 20-30 minutes. 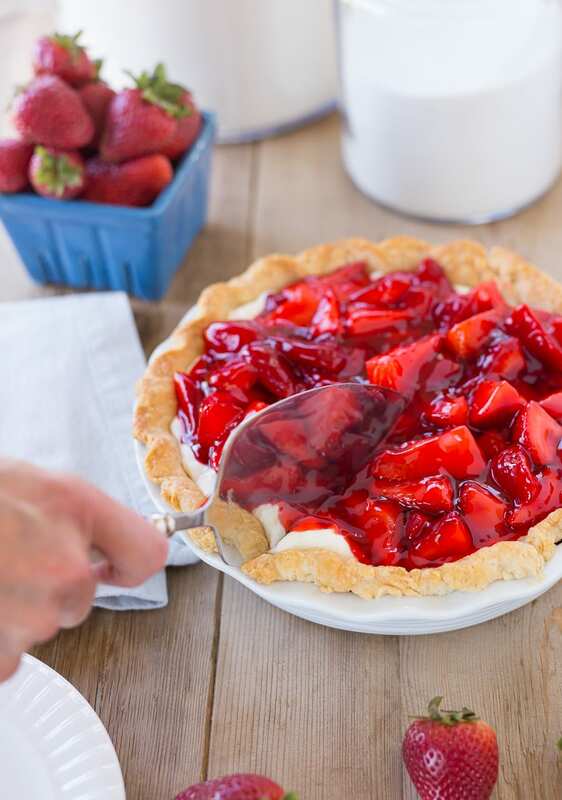 In a large bowl, gently mix strawberry fruit glaze with the washed and quartered strawberries until all of the berries are coated. Set aside. 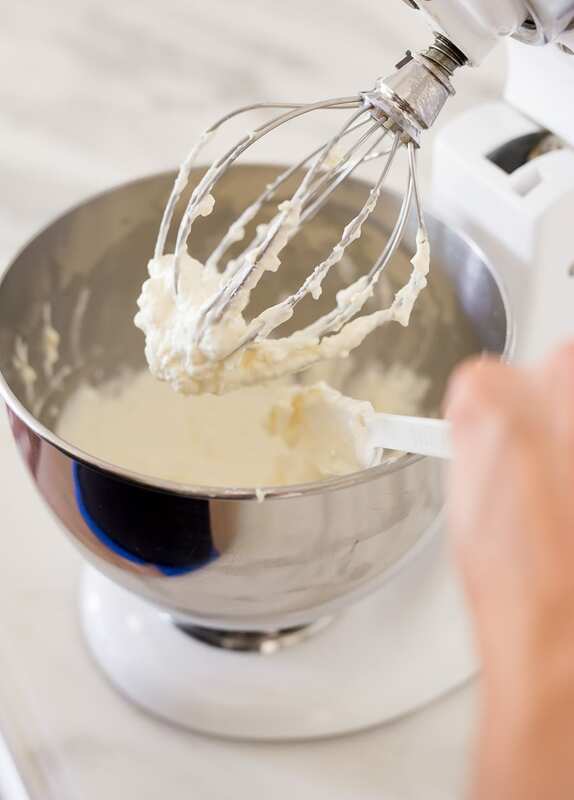 In a mixer, blend the cream cheese, sugar, milk, and almond extract together until smooth. 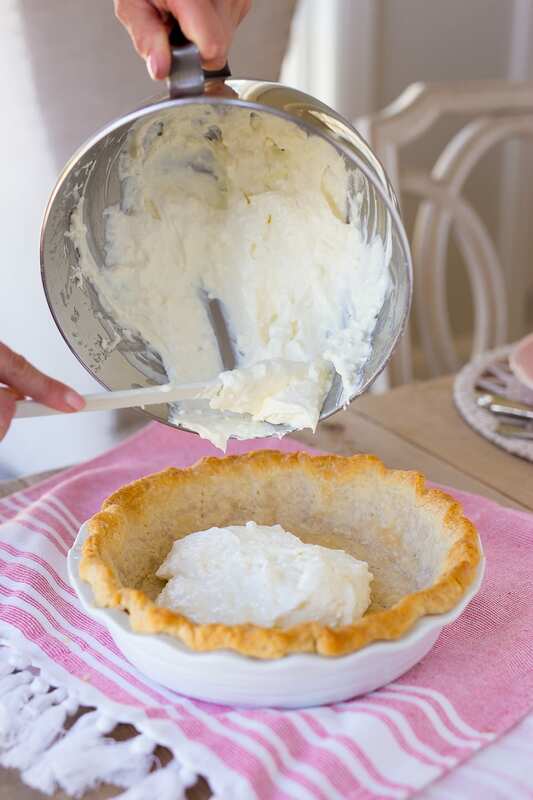 Take the cream cheese mixture and spread evenly on the bottom and part way up the sides of a baked and cooled pie shell. Then add the strawberries and glaze mix over the top of your cream cheese mixture. 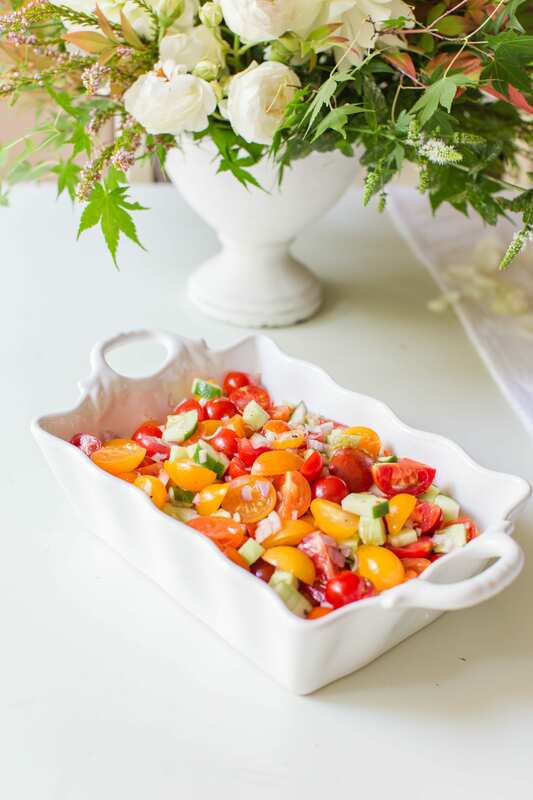 Refrigerate for an hour or more. Serve chilled. Let me know when you do! It’s a favorite over here! Beat together cream cheese, condensed milk, and fresh lemon juice until smooth. Pour into graham cracker crust. Refrigerate until set. 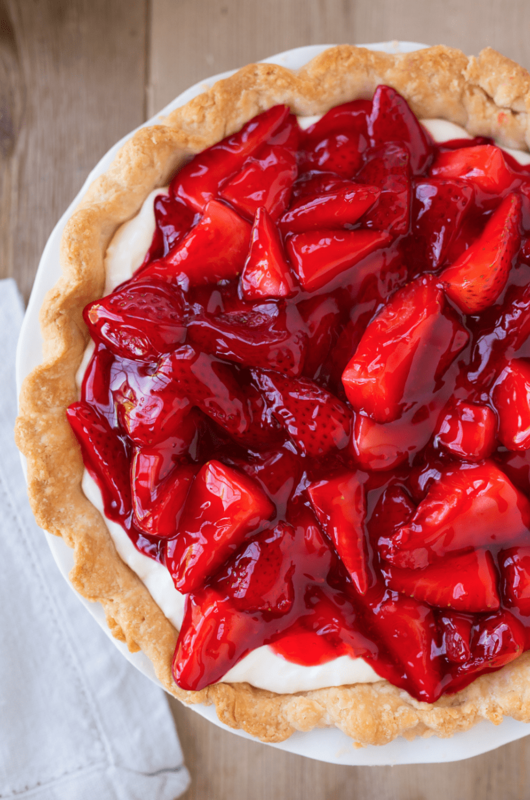 When set, mix berries with glaze and pour over the top of your pie. Refrigerate until chilled. 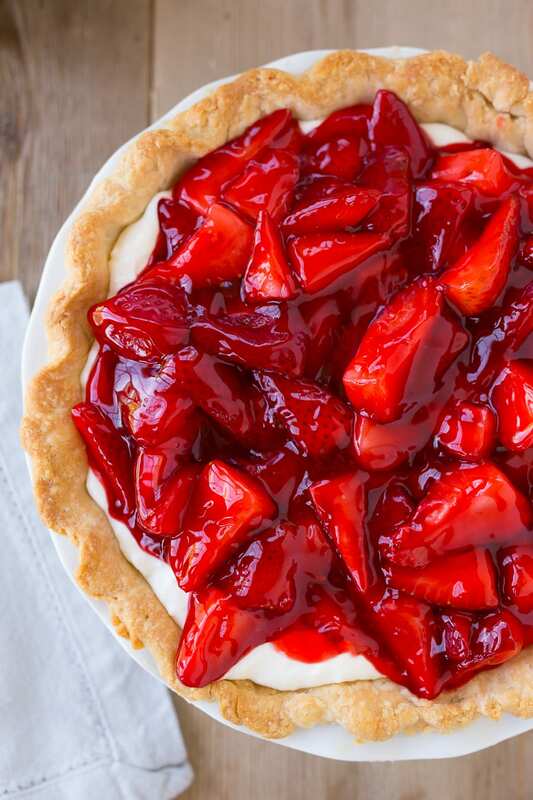 I read about this pie and had to tell you about my Mamaw’s Strawberry Cream Cheese Pie. Oh how awesome is that! It’s very similar. We use a glaze on the strawberries too! I think the only thing different is we use regular milk and no lemon juice but we add sugar! I’ve made it with a graham cracker crust too but my husband prefers a regular crust since thats how his grandma did it! So awesome! Thanks for sharing that with me!!! 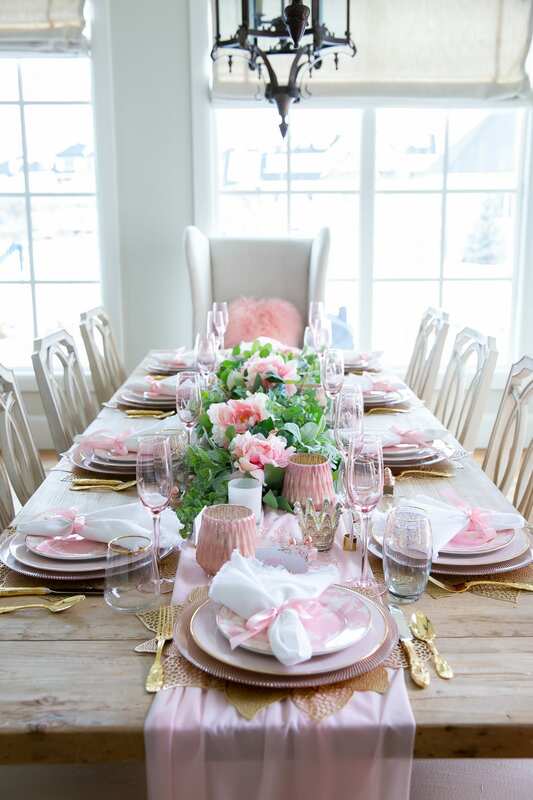 I love cooking, entertaining, and creating a beautiful home for my family and friends. I have always tried to create a feeling of warmth in my home and make everyone feel welcome, and I hope you feel welcome here too!